Joanna - TOTALLY INTO IT! I had been working to expand my career in hospitality and when I saw the opportunity to join the team hero, I jumped at it and have not looked back since. Honest, Motivated, Easy-going, Conscientious, Loyal. Provide guests with a full-stocked and well maintained minibar on a consistent basis throughout their stay. Originally a singer in a sports bar in Holiday Inn Bur Dubai & working part-time in the sports bar & restaurant in the morning before moving to Australia. The hospitality industry allows you to develop yourself professionally and as a person. It is how well I connect with guests and my fellow co-workers that makes me happy. It is very rewarding to actually get to know your guests by engaging with them & demonstrating that it is in your heart to take care of them personally during their stay at your hotel. Minibar revenue has been continuously increasing. This is good because it can boost department revenue although not optimally. From here possibly a role as Food and Beverage Administrative Assistant to being a Food and Beverage Manager/Director. Challenges in the management of minibars such as guest refusal to admit minibar consumption, or the effort to open every single room to verify if the minibar needs to be restocked. Opportunity to meet and socialise with people/staff representing a wide range of nationalities. Nancy Ajram, a Lebanese singer when I was in Dubai, Natalie Imbruglia and Filipino singer Sarah Geronimo at QT. 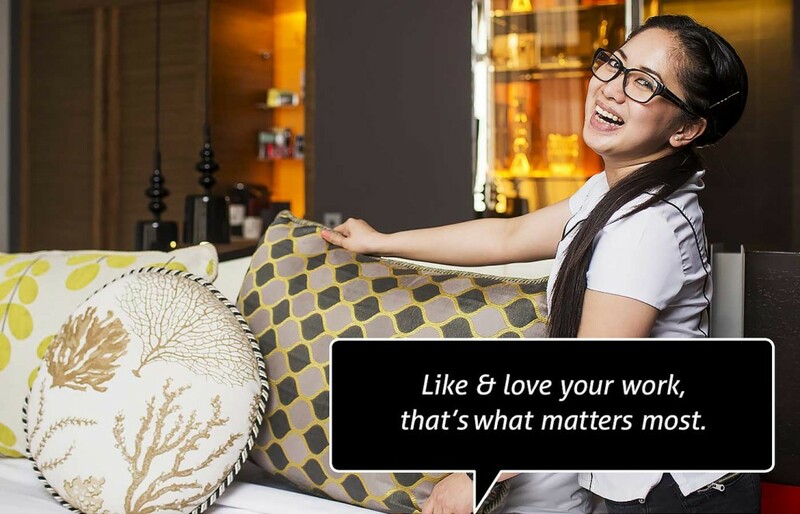 Like & love your work, that’s what matters most. Seeing inside the most luxurious hotel in the world – The Burj Al Arab Hotel.